The Philippines NGO Data project, in partnership with ASSIST’s AsianNGO.org program, will provide a foundation for capacity building throughout the Philippines NGO sector. This will be achieved through the delivery of a comprehensive online directory, based on a pioneering model to collect accurate, up-to-date data on the NGO sector in the Philippines, with a special emphasis on the ability of the country’s NGOs to respond to disasters such as Typhoons Ruby and Haiyan. 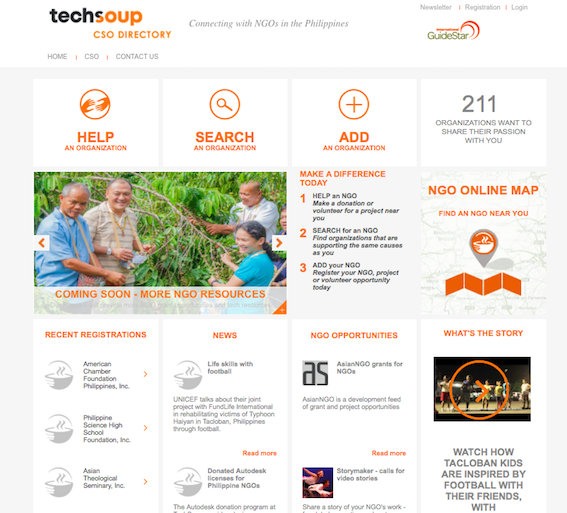 Our initiative includes connecting with NGO profiles with new funding opportunities, volunteers, capacity-building resources including the TechSoup.asia donation program, with data that can demonstrate the NGO’s impact.